Today, we are profiling one of our members: Enterprise Community Partners. For more than 35 years, Enterprise has improved communities and people’s lives across the country by making well-designed homes affordable. We bring together the nationwide know-how, partners, policy leadership and investments to multiply the impact of local affordable housing development. Nationally, Enterprise has created nearly 529,000 homes, invested $36 billion and touched millions of lives. How would you describe the core mission of Enterprise Community Partners, and how do your goals as an organization align with the goals of the Energy Efficiency for All coalition? Since 2004, Enterprise has contributed to the sustainability of more than 127,000 homes for low-income people, invested more than $3.9 billion in the development and preservation of green, affordable and healthy homes, and transformed housing policies at the state, local, and national level. Leading the adoption of green practices in the affordable housing sector through policy and programmatic work, we have spearheaded the development and use of innovative capital solutions as an important lever. We fundamentally understand that an increased investment in renewable energy and energy efficiency technologies will yield great returns for affordable housing in the future, while providing healthier homes for residents. Nearly 15 years ago, Enterprise Green Communities built a national platform for establishing a framework and guidelines for affordable housing developers, and it is aimed at keeping housing affordable for longer through energy upgrades. This program focuses on energy, water, health, resilience, and community-building. Our energy goals are directly aligned with the goals of the EEFA coalition, to ultimately promote equitable climate resilience in communities across the country. Could you describe the strategies through which Enterprise follows its mission of maintaining affordable housing and encouraging its development? At Enterprise, we accomplish our goals by focusing on three distinct “levers” of change: policymaking, capital access for owners and developers, and finding solutions for on-the-ground affordability issues. Since our New York City office opened in 1987, Enterprise has brought together public agencies, community-based organizations, philanthropy, and the financial institutions to address the city’s changing affordable housing needs. Over the past 30 years, Enterprise has incubated solutions to some of the city’s most complex housing challenges, including homelessness, aging in place, preservation, and organizational capacity building. We conduct capacity building through technical assistance expertise in project development, energy, sustainability, and financial analysis. This on-the-ground assistance to our multifamily affordable housing partners is a key component of our work, and we address this through a lens of equity, health, and universal opportunity. We test and scale effective solutions through capital investment, and advocate for policies that increase resources for affordable housing in healthy, diverse, and stable neighborhoods. Since inception, we have helped create or preserve more than 64,000 affordable homes for over 170,000 residents in the NYC region, touching thousands of lives. What criticism does Enterprise face as an affordable housing advocate and lender, specifically about your work promoting energy efficiency? How do you typically respond? One of the most common sources of skepticism we hear about our efficiency work is that if green infrastructure is required, the incremental costs of living for families will increase and prevent their housing from remaining affordable. Energy-efficient “green” housing is often associated with expensive places and fancy apartment buildings. But in reality, creating efficient designs and retrofits increases the long-term viability of affordable multifamily housing. Do you foresee changes that could help propel the growth of affordable housing development in the future? One of the most important changes that needs to be made in the affordable housing development sphere to increase energy efficiency and clean energy solutions is to streamline existing programs. There are many nontraditional housing dollars that can help with repairs and upgrades, through solar, utilities, cap-and-trade, resilience and water conservation programs. Many of these programs are siloed and not aligned with affordable housing needs, including an understanding of the complex financing. At the same time, mission-aligned owners do not know how to access the resources or have the bandwidth to devote time to pursue complicated limited funding sources or review clean energy opportunities, which when combined could cover many of the needed upgrades. Many of these programs are difficult and cumbersome to access. For this reason, interagency collaboration is a central part of our mission. When public agencies, nonprofits, and developers have the same goals, they can work better as a team to provide greater benefits to the communities they serve. When processes are difficult, low- and moderate-income people are often left behind because they do not have the time and money needed to corral complicated efficiency benefits from different sources. Creating programs that streamline disaggregated sources of funding through the existing housing infrastructure will change the game completely, and build a pipeline of projects and demand to build a more robust market for this sector. What are the challenges and opportunities that you face specifically in New York? The challenges we face in New York mimic the overall challenges of our work across the country. New York has an amazing infrastructure and ambitious goals to meet a clean energy future. There are sources of funding through many programs, and sometimes the existing incentives and rebates, coupled with the lack of capacity from our developer partners to aggregate these many sources, makes it hard to access this financing. 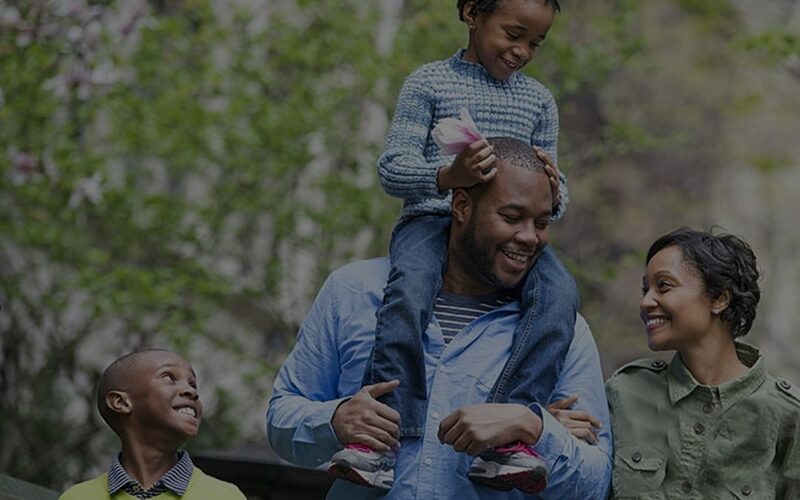 EEFA New York strives to be a holistic voice, making sure that low- and moderate-income New Yorkers can access efficiency benefits, and as a partner, we help ensure that housing affordability is a key goal of our mission. What key information should EEFA members and their supporters know about Enterprise and its role in the coalition? Our role in the EEFA coalition is to bring the voice and perspective of multifamily affordable housing preservation into the energy efficiency conversation. We elevate the on-the-ground needs for families, developers and owners. And for Enterprise, it has been extraordinarily valuable to work with people who have powerful voices on different policy levels. The EEFA coalition has greater influence because we all work together. Everyone deserves to live in healthy, affordable communities, and we need collaboration and persistence to get there. Our value-add includes a unique grasp of the multilayered affordable housing finance infrastructure and a practical approach to increasing building performance, furthering healthy living environments in a cost-effective way while promoting not-for-profit organizational and portfolio sustainability. We have successfully partnered with like-minded institutions and public/private partners to raise awareness and standards for green affordable design, construction and rehab and have established the basis for what it takes to green new and existing affordable housing nationally.